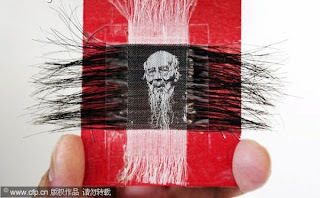 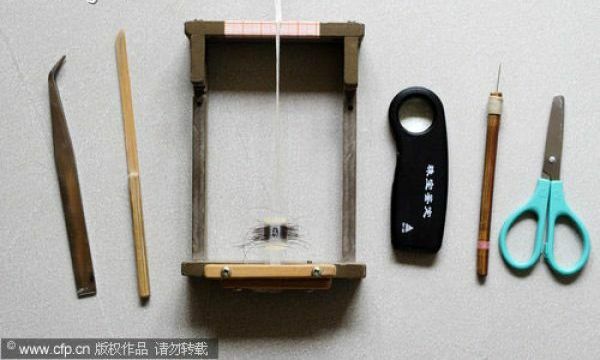 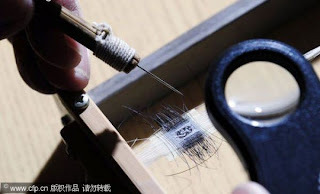 This is a hair weave work by Chinese Zhang Dexuan, 66. He's weaving portraits on hair, a technique invented by his grandmother. 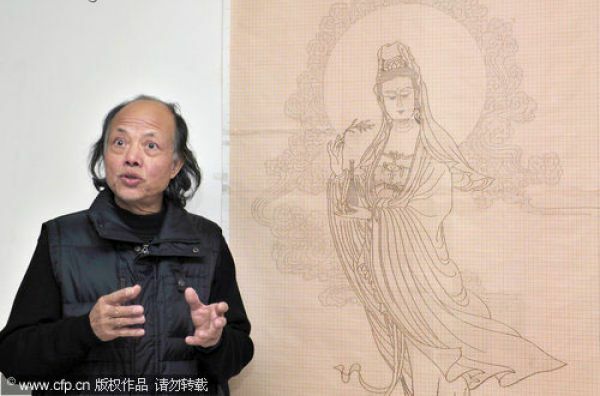 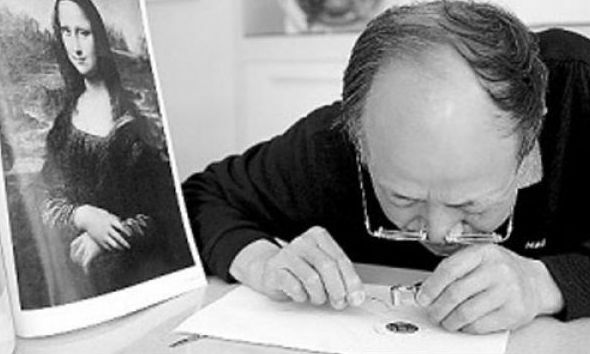 Zhang learned the skill in 2 years and accomplished his first portrait before he turned 30. 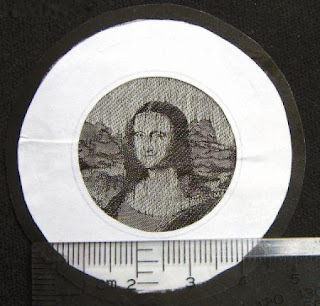 He normally makes miniature portraits, working with magnifier.